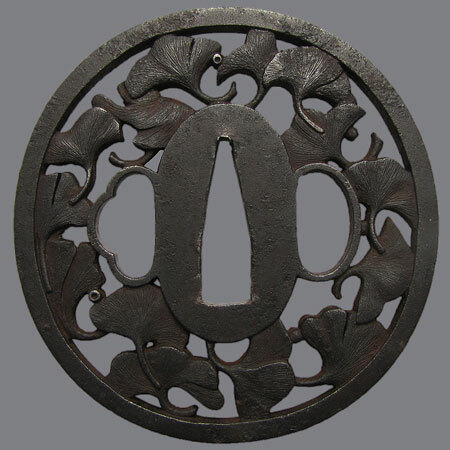 Iron tsuba with ginkgo leaves cut in niku bori ji sukashi technique. 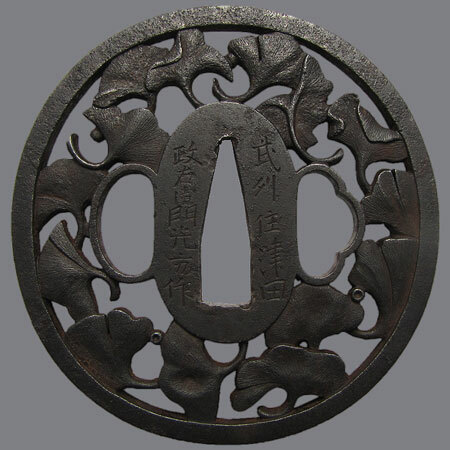 According to the inscription this tsuba was made in Musashi province. However, it's like enough, that the author is Mitsukata, that lived in Choshu province in 19th century. 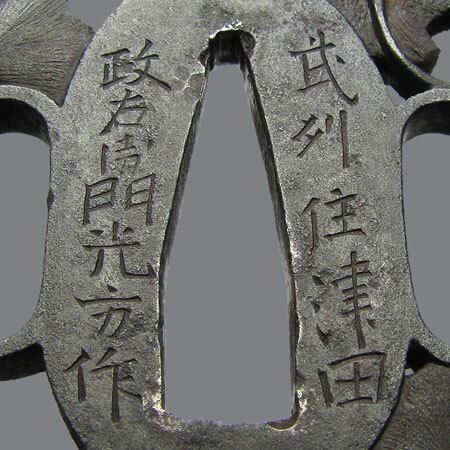 Inscription: 武州住 津田 政右衛門 光方作 (Bushu Ju Tsuda Masaemon Mitsukata Saku). Iron, niku bori ji sukashi. Nagamaru gata, kaku mimi; 7,5 х 7,3 x 0,5 cm.